Although there is little historical viability to the location that is known as the Socrates Prison, this place still holds some kind of a legendary interest. 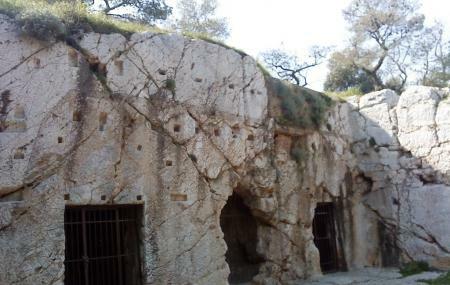 Believed to be the site where Socrates, the famous philosopher was imprisoned, this site consists of three caves carved into bedrock. The site is gated so you can only see it from a distance. However, it will be of particular interest to those who have studied Socrates and the trail that ultimately led to his imprisonment. How popular is Socrates' Prison? People normally club together Pnyx and Athens Planetarium while planning their visit to Socrates' Prison.